From the above screenshot of Google search result, you can realize how important is title tag as it is the first impression on search results. An audience will first see this title in search results. 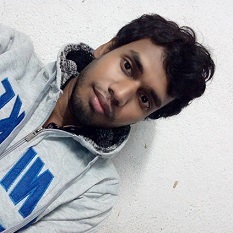 On the other hand, the h1 heading tag also plays an important role to improve the SEO. On a web page, there should be only one H1 tag. Many bloggers are in a conflict if the title tag and h1 tag of a page should be exactly same or different. Some of the bloggers say that it is better to keep the title tag and h1 tag same and many other bloggers suggest to keep these two tags different. Now I am going to tell you the exact answer. 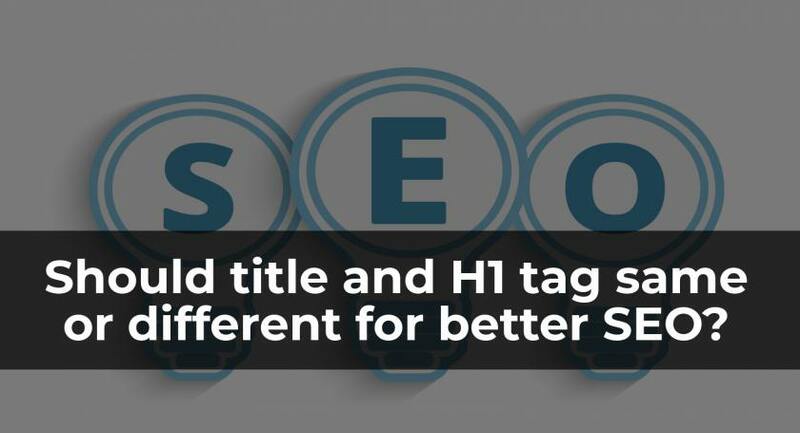 According to those who are highly experienced in SEO, the title tag and h1 tag should be different but they both should contain the main keywords. That means there will be very little difference between the title tag and h1 tag. What is the proper length of the title tag for making it SEO friendly? From the above two examples, you can see that H1 tag and title tag introducing the same meaning with the different style. Both the H1 and title tag reflect the topic. So they will be very similar. 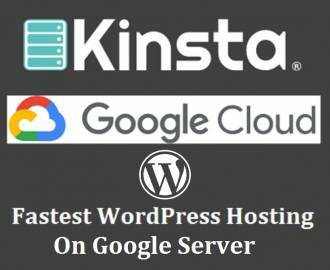 Why Am I Not Using SEO Plugin For My WordPress Blog? Why title tag and the h1 tag should be very similar but should not match exactly? Now the question may come to your mind. Why the title tag and the h1 tag should not match exactly but should be very similar? There are several reasons behind it. Restriction of the length of the title tag is a reason for not to match exactly with h1 tag. The length of h1 can be more than title tag. So, in this case, it is better to strongly focus the main keywords and also contains those keywords in the title tag. You may also like to keep your brand name or site name with title tag so that it will be visible on search engines. See this example o title tag – “Why is Facebook the best traffic source for news websites? – EyeSwift”. Here in this title, I have my brand name “EyeSwift”. But it will not look good to contains the brand name in the H1 tag and there is no meaning to do that. In this case, the title and the h1 tag will not match as the h1 tag not going to contain the brand name. Sometimes if it is not possible for search engines to show you the result for the title tag, then it may show it for the h1 tag. Or also it is possible that not for h1, but the title tag is responsible to come on search results for the slightly different in the title tag and h1 tag keeping the main keywords common in both. I hope you have understood and realized how much difference should be between h1 and title tag of a web page. In the end, I want to inform you that if the title tag and h1 tag are very different than the expectation that it will be harmful to your website or blog. It will negatively affect SEO and also it may be suspicious for search engines. So never try to over optimization with the title tag and h1 tag. I have one query it, basically, everyone says that title tag act as the H1 tag, so do we still need to keep the H1 tag in the body of the article or we need to start from H2 onwards? I would like to know the reason please explain a bit. No, that’s not true. H1 tag and title tag are different and both of these has great value for SEO. Every web page should contain one h1 tag especially for blogging sites. A search query may take your web page to search results on search engines and the H1 tag or title tag, anyone may be responsible for this. So using both H1 and title tag efficiently can increase the chances of appearing your blog on search engines.